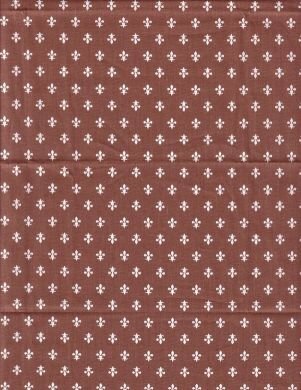 This brown cotton fabric with a fleur de lys design is 60'' wide. The image shown is approximately 8 inches wide. Priced per yard. Half yard minimum.